These mapping services are provided upon request and may include a wide range of applications or products. The costs and details of each project are determined through discussions between OSFAC and the requesting party. Examples of OSFAC projects and products are provided below. If you are interested in discussing a future project with OSFAC, please contact us. 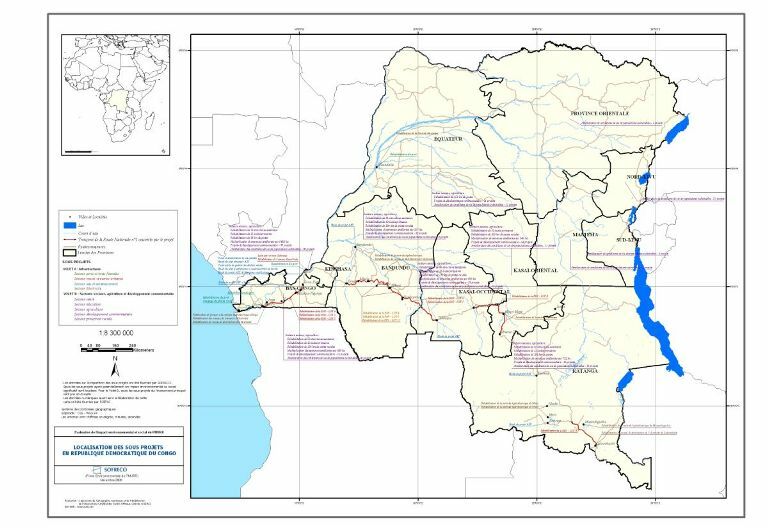 As part of a large project funded by CTB-PAIDECO, OSFAC used satellite imagery and field mapping techniques to work with community officials in Kimbanseke to produce maps of all 30 quartiers in Kimbanseke. These maps will be used to help orient development initiatives and assist urban planning. 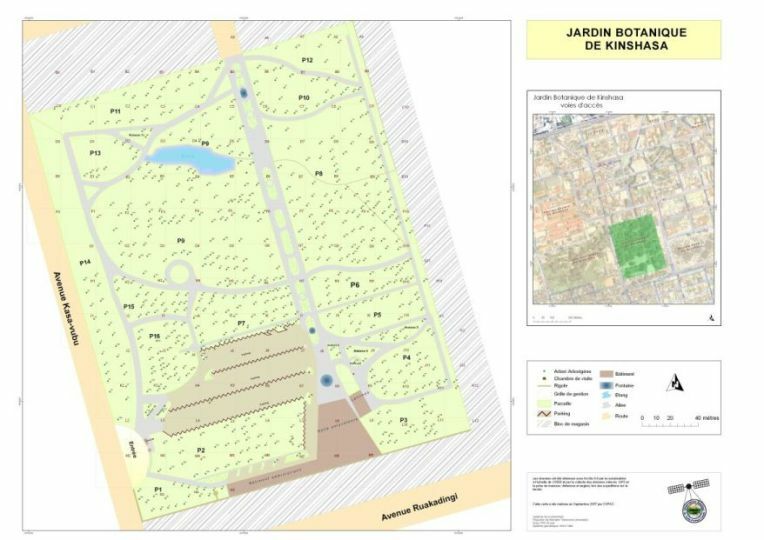 At the request of IUCN and the French Cooperation, OSFAC produced a detailed map of the botanical gardens, displaying all infrastructure as well as individual plant species. 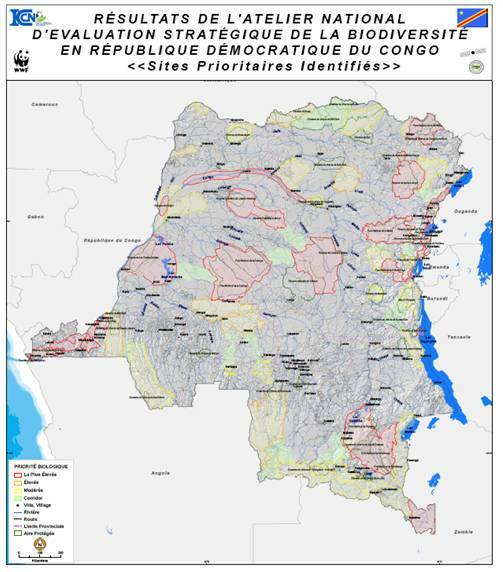 In collaboration with the Ministry of the Environment, ICCN and WWF, OSFAC provided technical support to a national workshop of experts to identify priority areas for biodiversity in the DRC. 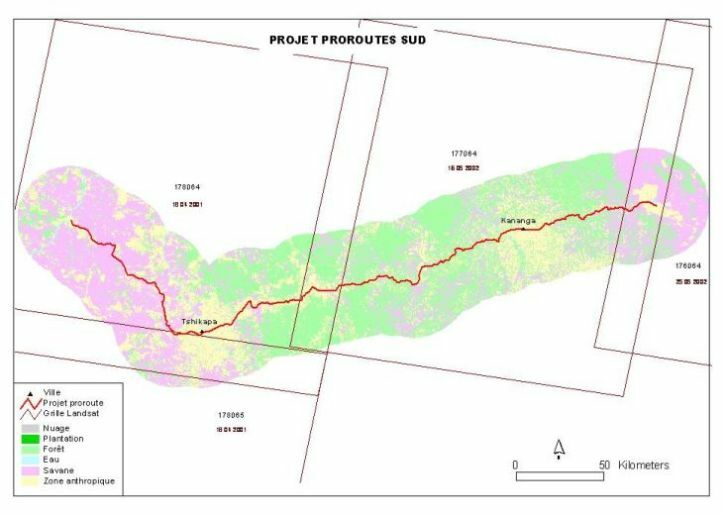 As part of a preliminary assessment for a road infrastructure project financed by DFID, OSFAC classified vegetation types in a 30km buffer around two road segments. 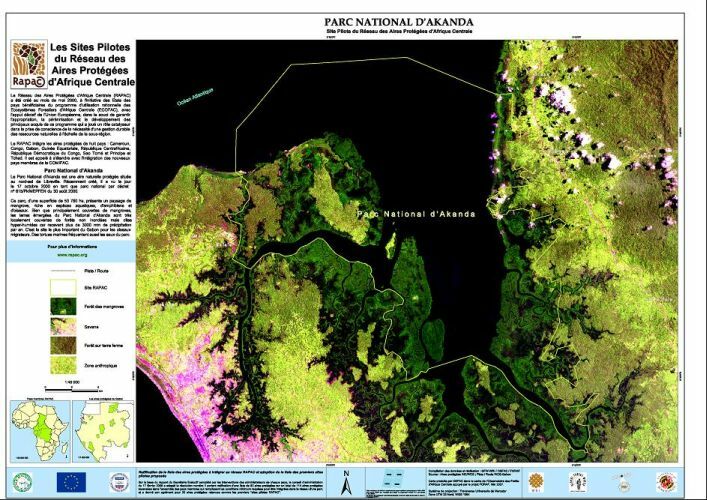 The study used Landsat 7 ETM+ images at 28.5 m resolution. 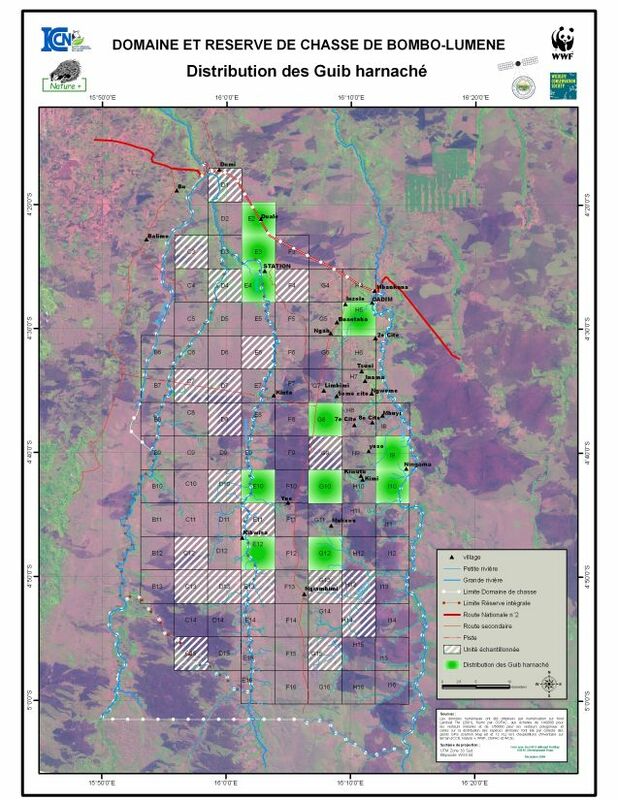 The methodology developed can be used to monitor changes in land cover over time. 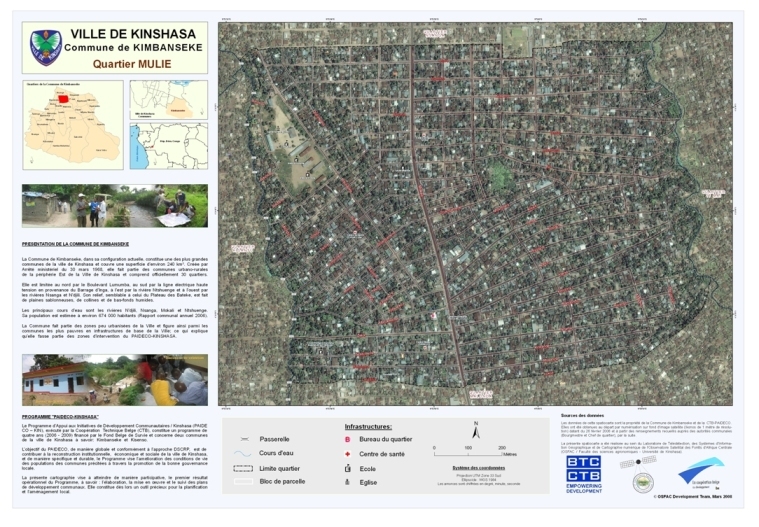 In appreciation of our on-going partnership, OSFAC developed a training exercise based on creating an informational poster for the University of Kinshasa. As part of the project, students used GPS, GIS and basic remote sensing to create numerous maps of the campus. 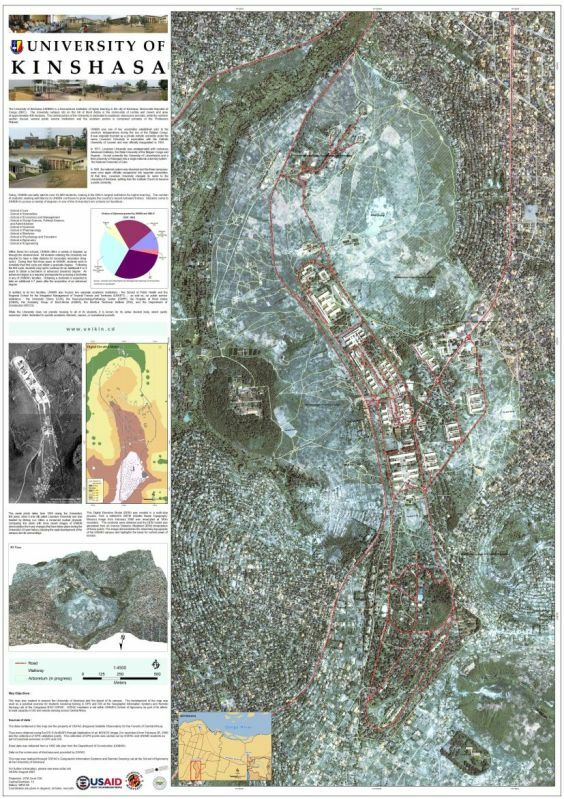 In partnership with WRI and RAPAC (Réseau des aires protégées d'Afrique Centrale), OSFAC was engaged to construct a geodatabase and produce individual maps of 33 RAPAC sites using Landsat images. In an effort to build the capacity of ICCN, WCS, WWF and Nature+ requested OSFAC’s help to organize and implement a combined training and field mapping exercise at the Bombo Lumene Hunting Reserve. The result of the training and mapping exercises was a series of thematic maps examining species richness. 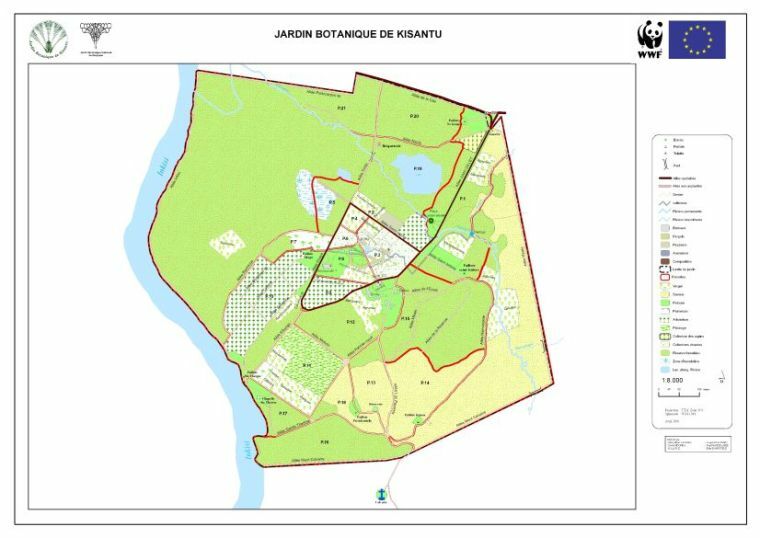 As part of a rehabilitation project supported by the European Union, WWF and the National Botanical Garden of Belgium (MEISE), OSFAC used GPS to create a georeferenced map of the Botanican Garden of Kisantu. At the request of UNICEF, OSFAC produced maps of UNICEF intervention zones.